It uses, when changing the present blinker a hazard and with a position. It uses, when changing the present blinker a hazard and with a position. Since it was disagreeable to have used a plug at the time of blinker exchange. Although it was an object for HONDA, it was u... Since it was disagreeable to have used a plug at the time of blinker exchange. Although it was an object for HONDA, it was used for KAWASAKI KLX125. Please use a kill... It is Doi's test. I stiff too much and can not handle ordinary. Harley 's Parts shop items, but it is difficult even to bend stiff. It looks like Mesh Tube, but it does not stretch at all. I thought about using it for Wiring but it became a Garbage. 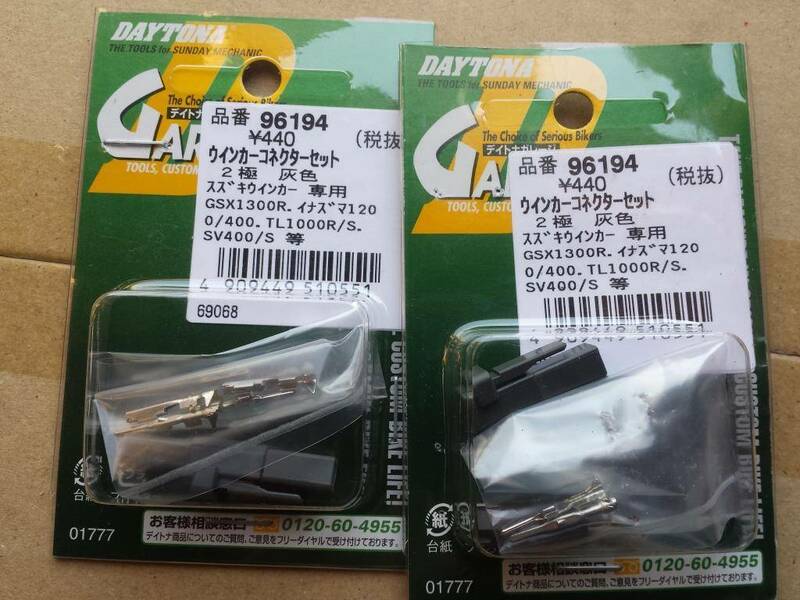 DAYTONA Blinker Connector (2-poles) Set Hello . I want to share a review about the purchased product. 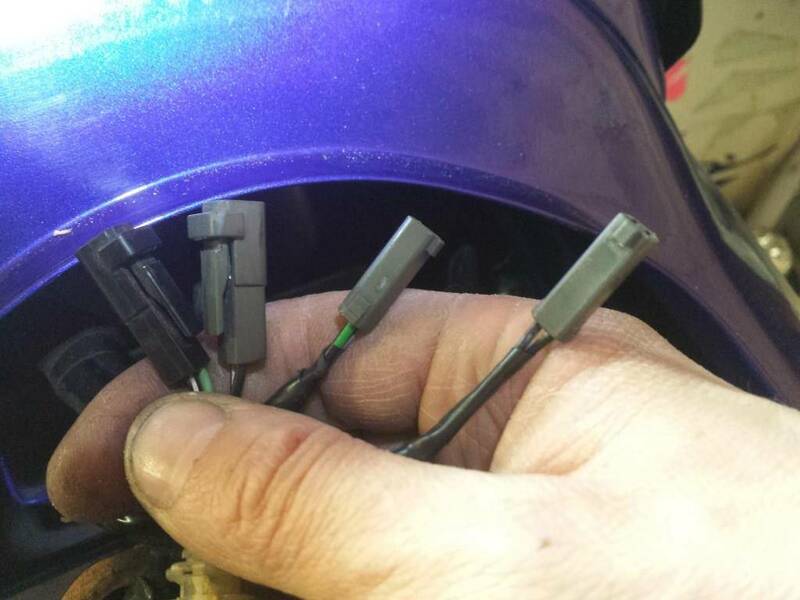 I bought two pairs of connectors for rebuilding the damaged wiring. Installation was quick and without any difficulties. The quality of the goods is excellent, as is the case for the original parts. I will buy more and recommend it to everyone. Do not regret what you buy for your motorcycle. I wish the seller success and all the best. Thank you . DAYTONA Blinker Connector I bought this pair of connectors for rebuilding the damaged wiring received after the accident. Installation was quick and easy. The quality of the goods is excellent. 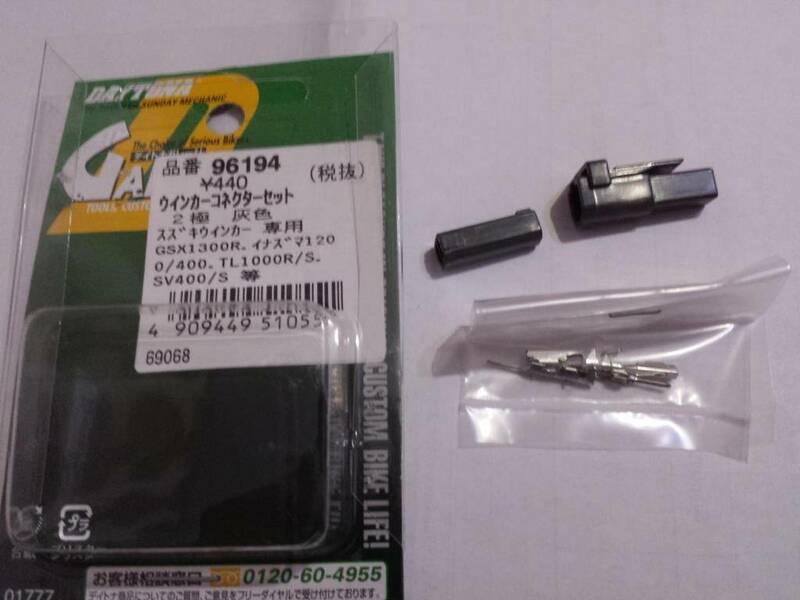 The real Japanese quality of the original parts for Suzuki motorcycles. I will buy more. I recommend to all . Do not regret what you buy for your motorcycle. I wish the seller success and all the best. Thank you .